The weather forecast was for calm days ahead. 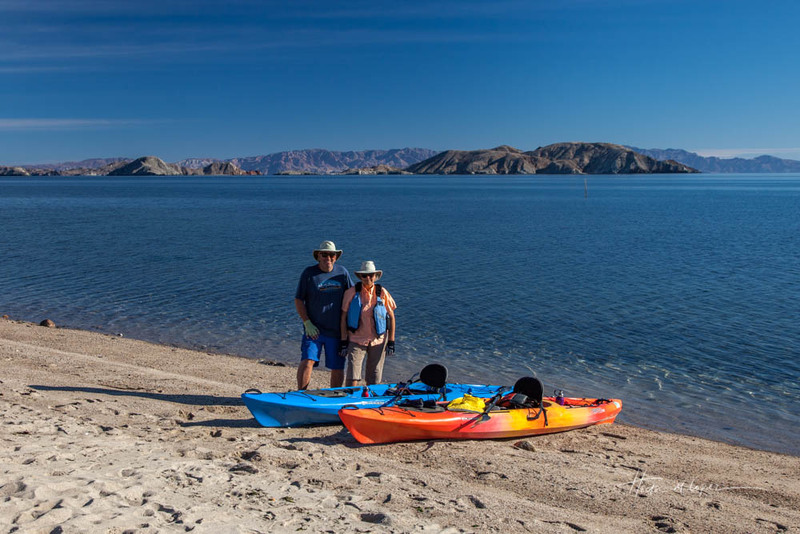 Perfect timing for us since we wanted to go kayaking in the Sea of Cortez as many days as possible during our stay. Very grateful for calm days in a place known for winds in the winter. As it turned out, the next four days had very light winds, so we paddled four days in a row! Early in the mornings, the water was like glass. On our first kayaking day as we paddled north from the campground we could see long graceful plants in the water. Not being familiar with these waters we stayed pretty close to the shoreline. We could see lots of fish in the crystal clear water. We almost made it to Playa Gringa at the north end of the bay but turned around to make it a nice easy paddle on our first day. 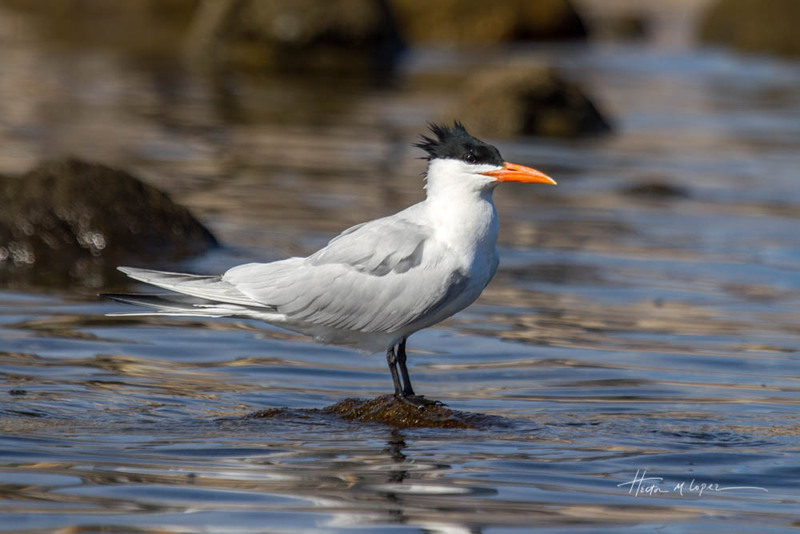 On the way back we spotted two beautiful Royal Terns and lots of other birds on the rocks. The next morning, the water was still and clear once again, and we paddled south toward an old lighthouse. 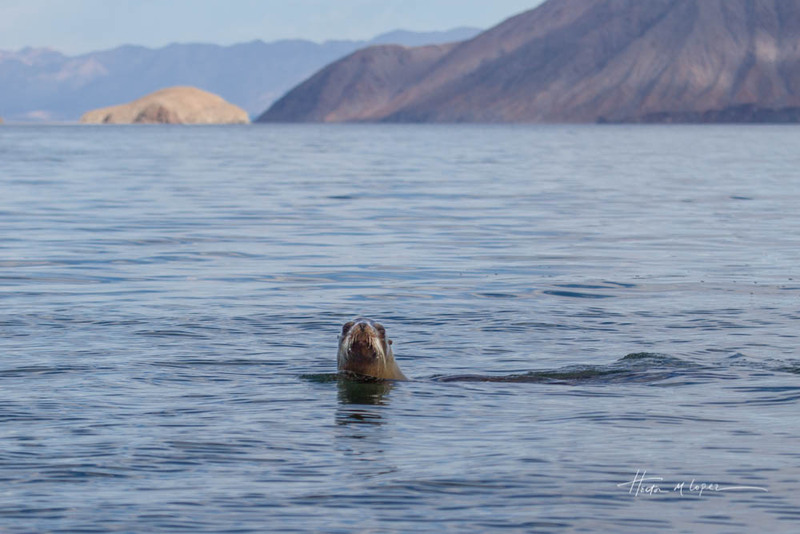 On the way, Hector spotted a sea lion and paddled closer. The sea lion was clearly curious about this big orange boat with the big human and swam close and around his kayak several times before he swam off. We continued to a beach around the bend from the lighthouse and stopped at the beach. Hector spotted a stingray in the water as we got closer to the beach, but we didn’t see any others. The lighthouse has been closed up a while but remains standing. 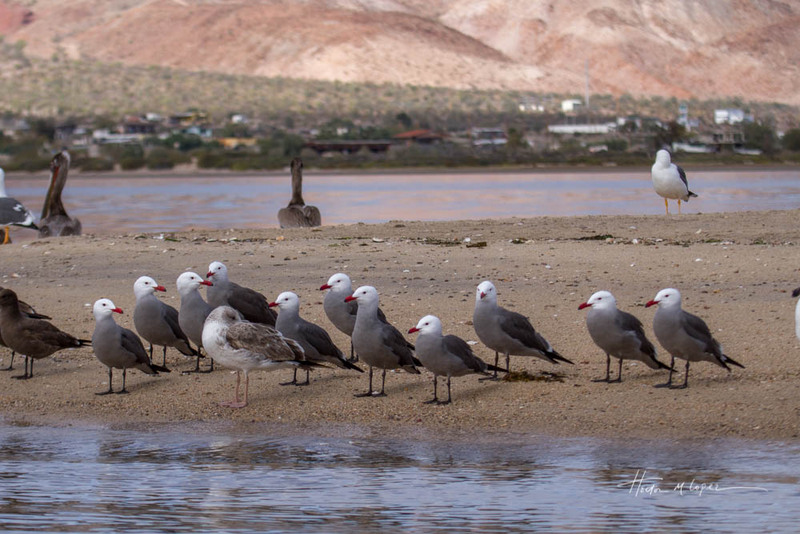 And there are rows of “guard” gulls in front of it. Once again, we found many lovely shells on a couple of beaches surrounding the lighthouse. Another great morning in the beautiful sea. 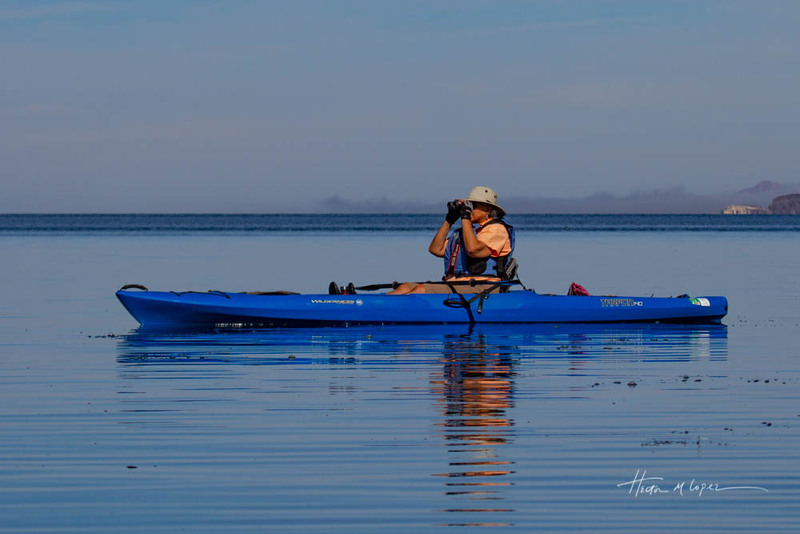 The following day with perfect conditions we paddled across to the closest of the islands surrounding us. La Ventana is about 2.8 miles out from the campground. 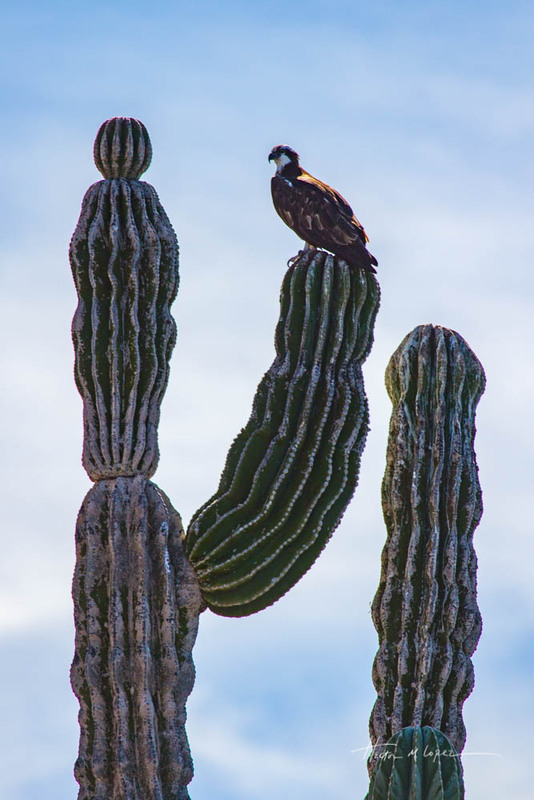 Interestingly, we saw lots of saguaro and other cactus on the island. On that day we saw osprey but not much other wildlife. This island has several beaches, which were full of shells. Hector even found a cholla (cactus) skeleton to add to our garden back home. 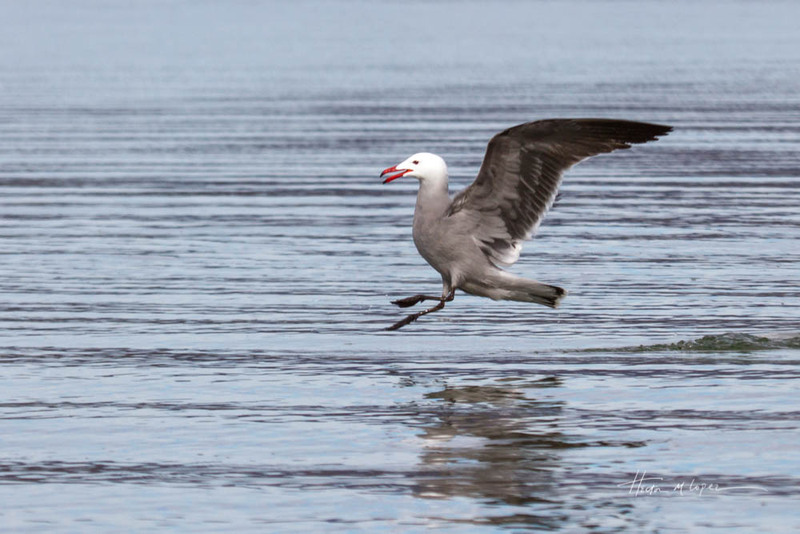 We don’t normally cross big open bodies of water and even though we returned early to be cautious we had some wind on our return and had to work a little harder, but it was still a relaxing morning. On our last paddle we headed south again but this time further past the lighthouse and crossed a couple of miles across the harbor in front of the little town. We found some ruins of what used to be the original town of Las Flores, a gold mining operation that started the first settlement in this area. We walked around the beach and found more shells. Shelling can be somewhat addictive. That day we stayed a bit too long on the beach and the winds started blowing pretty hard in front of us. There were also swells, including some that went over our boats. The dreaded winds! It was quite a workout to get back to the campsite. 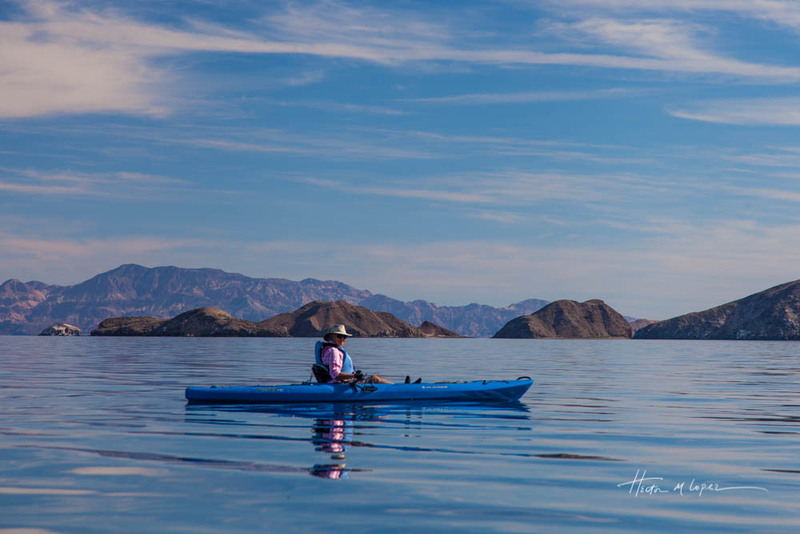 We truly enjoyed spending time paddling in the spectacular Sea of Cortez, but we were tired after four days. 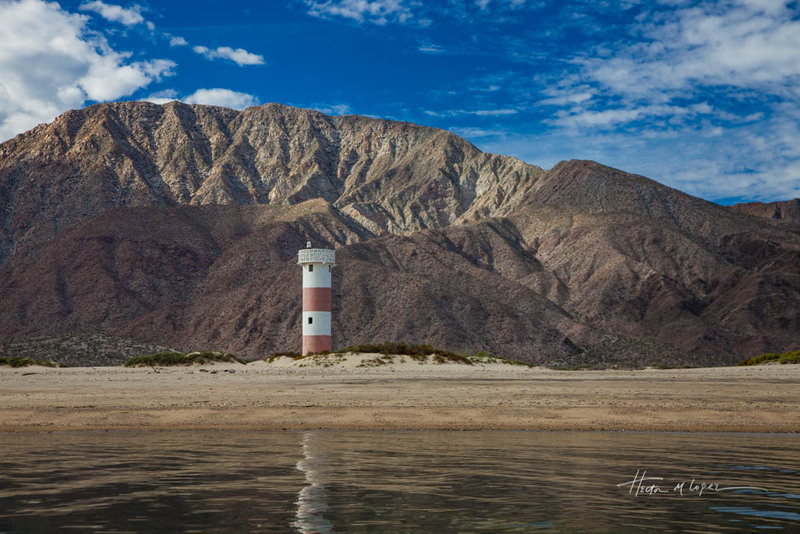 So we decided to do something different on our last day in Bahia de los Angeles and signed up for a motorboat ride the next day to some of the other islands. Next up our scenic boat ride with Marco. 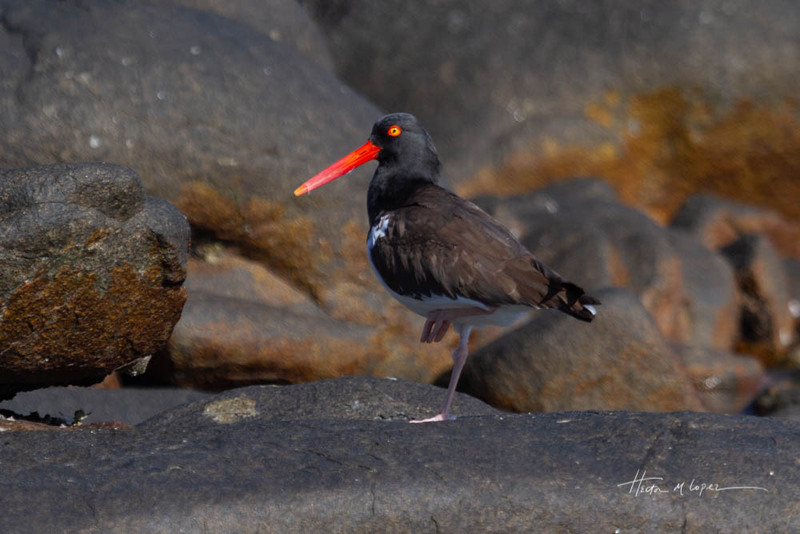 This entry was posted in Mexico by islandgirlwalkabout. Bookmark the permalink. So peaceful and calm, what a pleasure. And the water look crystal clear. Really nice! 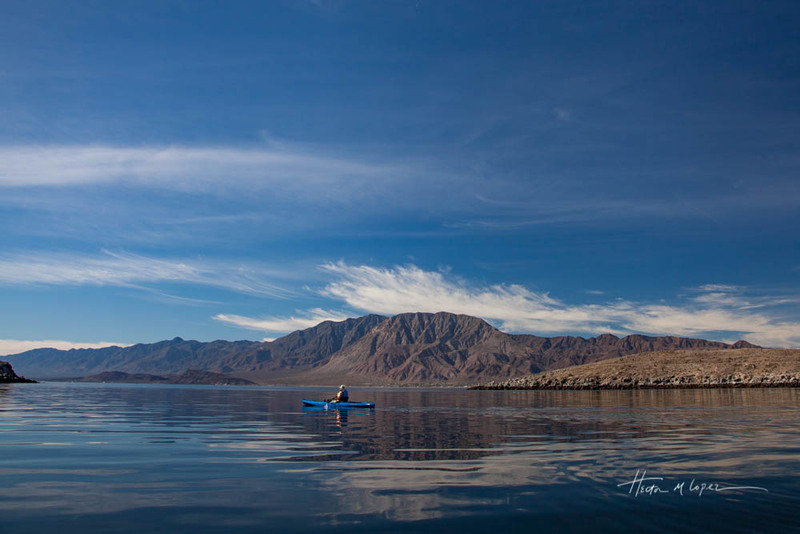 An awesome morning for a kayak in such pristine waters. 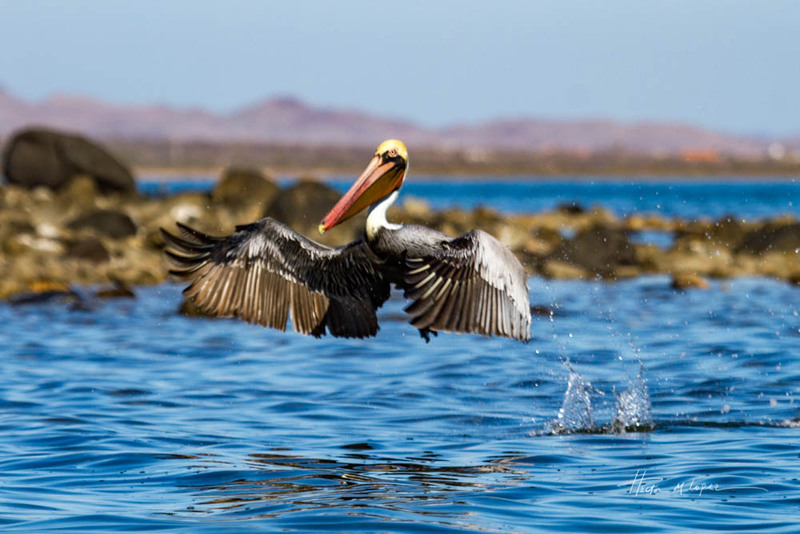 The winds in Baja can come up fast, good idea to be cautious. 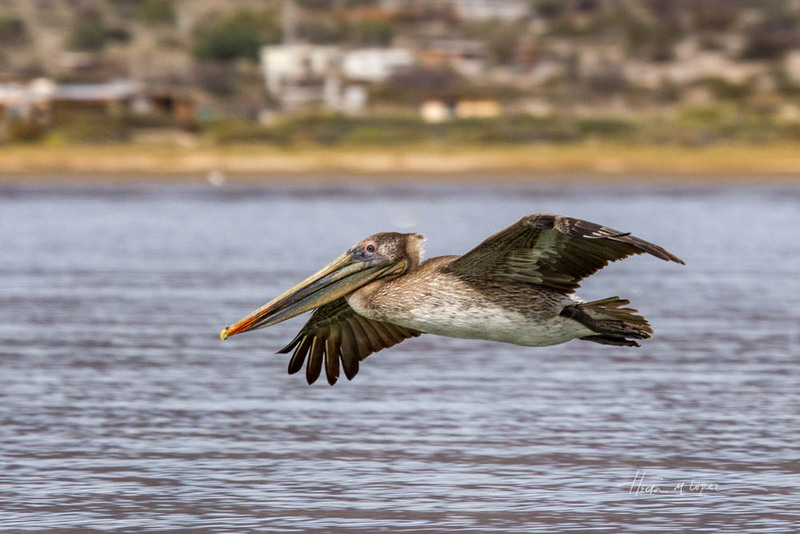 Beautiful photos, really like the timing catching the pelican in take-off. Thank you! We have much respect for the sea! What a beautiful spot to have several days to kayak with perfect weather! 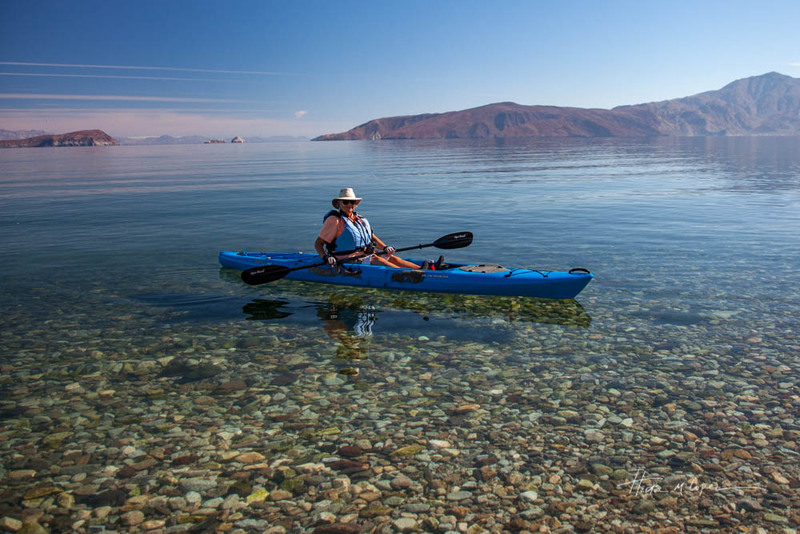 I cannot imagine how amazing it was to paddle those waters! The colors are so vibrant!